Cost matters, and you should have the ability to easily compare prices for different services and products. That's why Delta Dental created an enhanced tool to help you find the best prices on the dental care you need to maintain good oral health. Our Dental Care Cost Estimator is an easy-to-use tool that provides estimated cost ranges on common dental care needs for local dentists. Subscribers can compare costs for nearly 60 of the top reasons people visit the dentist. From a cleaning and an X-ray, to a crown or a root canal, the tools lets subscribers search by ZIP code and dentist to find the best price by procedure. Currently, the tool provides the total cost of the procedure; however, in the near future it will also show Delta Dental subscribers their actual out-of-pocket costs. The Delta Dental Mobile App is optimized for iOS (Apple) and Android devices. 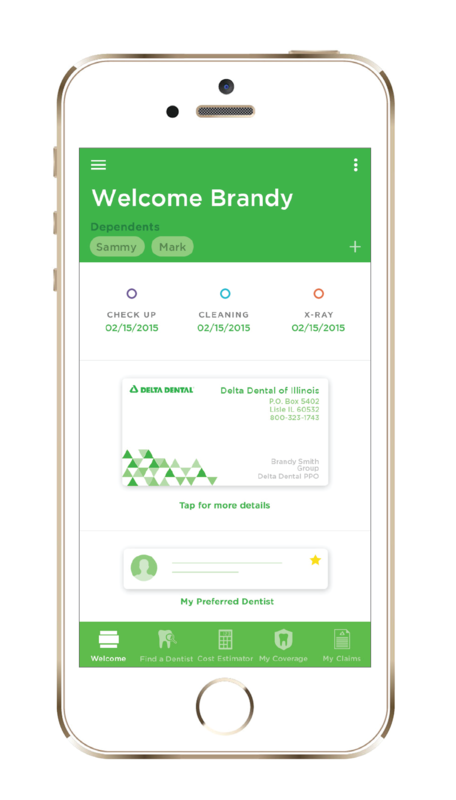 To download our app on a device, visit the App Store (Apple) or Google Play (Android) and search for Delta Dental. Or, go directly to delivr.com/2c9vx_qr on your device. After logging in, click on the "cost estimator" feature to access the tool. Delta Dental subscribers will need to log in with the username and password used to access www.deltadental.com. Registration is available within the app, along with password recovery. Desktop versions of the tool for both subscribers and the general public are also available. Click the appropriate link below to access the cost estimator tool. Once you are in the tool, simply enter your ZIP code and select a treatment category from the list. If you are logged in, you can also enter your dentist's last name to find costs for a particular dentist. General Public Access The public version of the tool does not require the user to register or log in, but only provides a range of estimated charges for out-of-network dentists. To be able to choose a particular dentist or to see in-network costs will require the subscriber to log in.